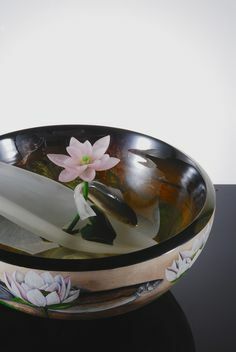 The second Michigan Regional Glass Exhibition, the luster is never lost. 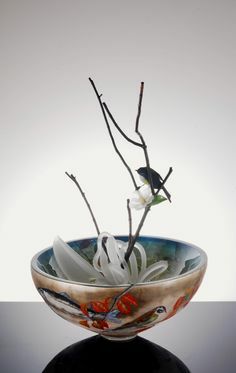 The Janice Charach Gallery, inside West Bloomfield’s Jewish Community Center of Metropolitan Detroit, will feature incredible glass sculptures and functional pieces by some of the most talented artists throughout Michigan and Ohio March 5-April 13. Even within the past five years, the number of online art auctions and galleries has skyrocketed. 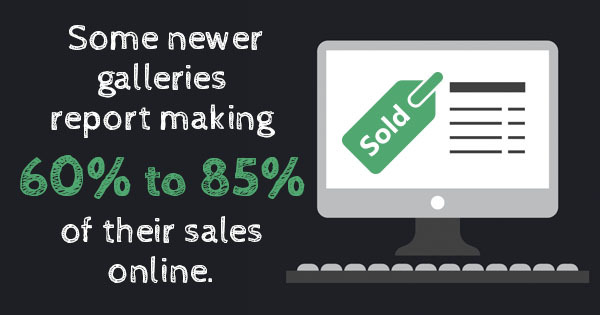 Some newer galleries report making 60% to 85% of their sales online, while even long-established galleries may make 10% to 35% of their sales through the Internet today. The reasons behind the rise of the online art gallery are many, but one thing’s for sure: It’s not a trend that’s going to fade away anytime soon. Why Do People Purchase Art Online? The simple fact is that the online art gallery has become a convenient way for collectors — especially young ones accustomed to the world wide web — to purchase modern and contemporary art. 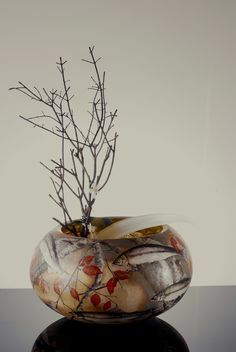 In the old auction house model, you might have to attend a special event in order to see or purchase contemporary glass art from a renowned artist like Karen LaMonte, an American best known for her life-size sculptures of cast glass, bronze, and ceramic and her large-scale monotype prints. Today, you might purchase them with the click of a button. Why Do Artists Sell Art Online? The Internet also provides opportunity for lesser-known artists to display their work outside of the mainstream art gallery complex. A small online art gallery can have as much clout as a major auction house like Christie’s, without the additional expense of traveling and promotion associated with the inner art circle. Why Do Galleries Use Online Auctions? While there will always be a time and a place for traditional, in-person gallery shows, the digital world has provided a means for galleries to connect artists and collectors in a more direct and desirable way. Some newer galleries admit that they might not recognize some of their most prominent collectors if they walked in through the door because so much of their communication happens over the Internet. Like it or not, the online art gallery has become a staple in the world of collectors, artists, and gallery owners combined. 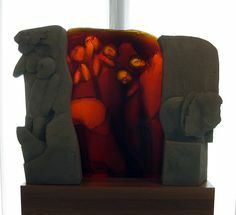 It has helped shape a new, more democratized sector of the art world that allows for previously unimagined possibilities. Storefront galleries will likely never go away, but the possibilities of art have been opened wide thanks to the digital frontier. More and more art sales and auctions today are taking place online instead of in-person. 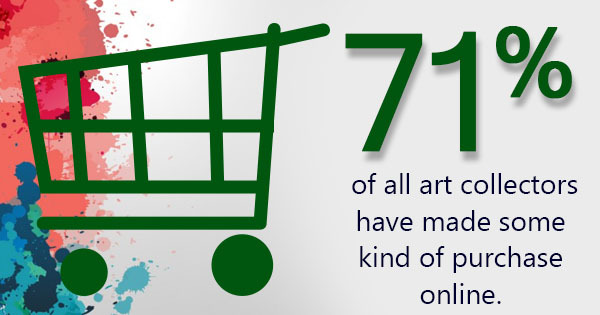 In fact, 71% of all art collectors have made some kind of purchase online. But no matter how popular digital art auction sites become, there will always be a place for real, brick-and-mortar contemporary art galleries. 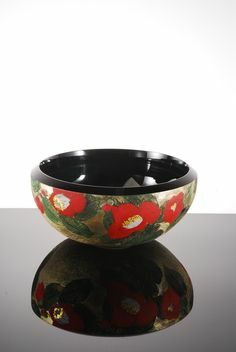 Galleries offer art enthusiasts the opportunity to see works up close before they make a purchase. They often also allow artists to meet their patrons as well as mingle with other like-minded creatives. To an outsider, the art world can appear intimidating. But in fact, art sales can offer a warm and welcoming atmosphere to first-time buyers or those who are simply interested in learning more about contemporary art. As with any event, however, there are certain rules of etiquette you should follow while browsing a gallery, especially at an opening reception. Here’s the beginner’s guide to being a perfect patron at any art gallery. Offer an introduction, but don’t monopolize anyone’s time. Chances are that if you attend an art sale at a local gallery, you’ll be able to meet the featured artist as well as the gallery owner. Introducing yourself can help create a social atmosphere, but unless you have a keen and pressing interest in making a purchase right away, don’t fill up their time with small talk. Artists and owners both will have many people to talk to throughout the night. Focus on the art on display. Gallery receptions sometimes feel like parties, but the conversation should mostly remain professional and focused on the art at hand. Now is not the time to network for your own purposes. Likewise, don’t ask a gallery owner in the middle of an opening reception if they have anything else for sale because you don’t like what you see. That conversation should be reserved for another time. Overall, keep the atmosphere light and pleasant. Enjoy a complimentary drink or snack. Many artists get nervous at receptions or galleries, so your role as interested patron should be one of support. The art world can be a wonderful and welcoming place, even for novice collectors. Visit our gallery to learn more about how you can become a patron of the arts and support creativity.